We like throwing our creative placement teams in at the deep end, and we want them to have fun too… so we gave placement team Sabine & Claire and placement designer Sam a brief to create an interactive installation for our Hanbury Street window space. They came up with a wonderfully odd (and surprisingly practical) productivity boosting tool and gave it a brilliant infomercial-style visual identity. Author Wieden Kennedy LondonPosted on March 31, 2015 March 31, 2016 Categories in the windowLeave a comment on Is it nap time yet? 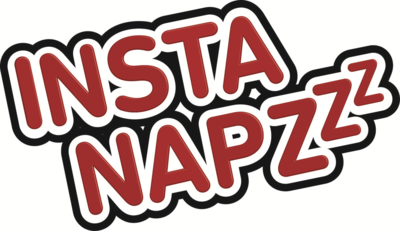 InstaNapzzz – Glasses for napping! Are you constantly tired? Overworked? Unhappy? Do you like napping but don’t, because you are a normal working adult? Introducing… InstaNapzzz! The glasses that make you look awake even when you’re not. Napping is scientifically proven to improve productivity, but people don’t take naps in fear of being seen as lazy. 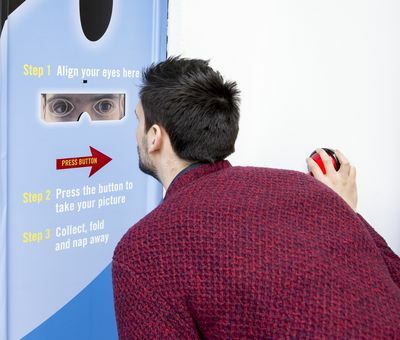 So W+K creatives Sabine and Claire (creative placement team) and Sam Part (placement designer) wanted to help find a way to get away with a 40-wink productivity boost by making it possible for people to sleep with their eyes wide open. 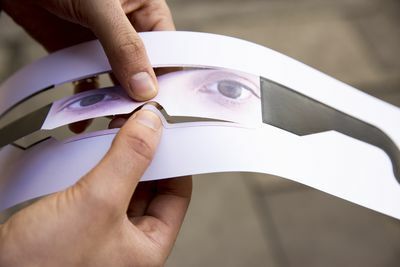 InstaNapzzz are personalized glasses printed with each user’s own eyes. Thanks to InstaNapzzz, anyone can subtly nod off wherever they desire. And everybody wins: employees feel less tired, their employers get a more productive workforce. These glasses, far from being a revolutionary innovation, are a playful statement on a bigger issue: raising awareness around napping at work. Want to get your own free pair? 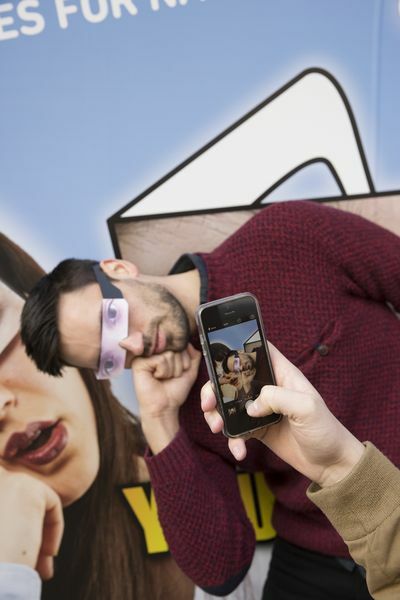 Visit our window installation, designed to echo the visual style of TV infomercials, at our offices between March 30th and April 10th, to make your own InstaNapzzz. 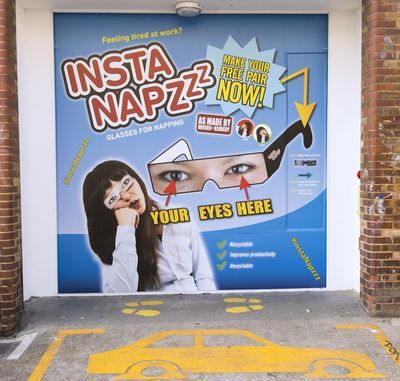 Share your secret snoozes with the world via Instagram using the hashtag #instanapzzz. You may just end up on this very live feed of the best snaps. Author Silvan SchreuderPosted on March 30, 2015 March 31, 2016 Categories News, Other, WindowsTags NewsLeave a comment on InstaNapzzz – Glasses for napping! There's an interesting piece about Mad Men by the author James Meek in this week's London Review of Books. Worth reading if you're interested in the show. Here are a couple of brief extracts from the long piece. "Sterling Cooper, the fictional advertising agency around which Mad Men is built, is a caricature of the commercial TV system that produced the series: a pool of creative people in bitter thrall to the accountants and deal-makers they rely on for money. Although we learn in parenthesis that the agency gets most of its income from commission on the ads it places, for dramatic purposes the agency is divided into two departments: Creative, which comes up with campaign slogans, artwork and copy for ads, and Accounts, which persuades, charms, fawns, bribes and pimps its way to getting and keeping corporate clients. Mad Men is a show about writers dependent on advertising, written by writers dependent on advertising, the difference being that the fictional writers of Creative write the ads on which they depend." Yet the weight of big corporation commercial propaganda that occupies so much space, time and thought has a malignity. The cumulative effect of current British advertising is that in order to be happy, beautiful and prosperous, you should borrow money, drink, gamble, buy a new car and eat processed food. Advertising is based on one thing, and you know what that one thing is? Happiness. Happiness is the smell of a new car. It’s freedom from fear. It’s a billboard on the side of the road that screams with reassurance that whatever you’re doing is OK. This doesn’t make sense. Advertising that convinces you your life is fine isn’t going to make you buy something new; the aim of advertising is to promote dissatisfaction, a sense of specific want, not reassurance. As it turns out, however, Don is merely deluded. The happiness he speaks of is his code for the state of the ideal American family life he believes himself to have created, and believes himself able to sustain, even as he gives himself the freedom to step outside it at will. His early crisis with his wife comes because she is both a consumer of his brand, the Perfect Draper Family, and an essential part of it." Well, when not busy promoting dissatisfaction, I'm looking forward to the final season of Mad Men, though I have little hope of a happy ending for Don. 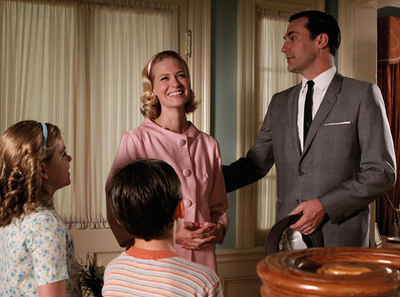 More on Mad Men from Welcome2Optimism here. And I can strongly recommend James Meek's The People's Act of Love. Happy Birthday, Nike Air Max. The Nike Air Max turns 28 today. And as many of you know, we take birthdays pretty seriously here at W+K. 16 Hanbury Street was filled with people commemorating the occasion by wearing their favourite pairs. Many W+K'ers also attended a very special birthday party, Air Max Day at the Oxford Circus NikeTown, where shoppers' Air Maxes were buffed to perfection by the pros. 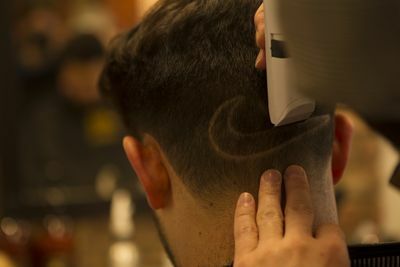 It was a celebratory day for all, but none so much as TV Producer Tom Dean, who took his admiration for the Swoosh a bit further than most. Thanks go to Ali at Jack the Clipper for his fine handiwork. Nice one, Tom. Phil Knight would be proud. Author Wieden Kennedy LondonPosted on March 26, 2015 March 31, 2016 Categories UncategorizedLeave a comment on Happy Birthday, Nike Air Max. It’s nearly half term and, as is traditional at this time of year, the advertising trade journal Campaign has published its annual ‘school reports’ on agency performance. The report on W+K is mostly very positive but I suppose it’s only to be expected that it is coloured somewhat by Campaign's perception of the significance of our parting ways with Tesco. They infer that it signifies an inability to manage big accounts. The perception from the inside is a bit different. The trouble with Tesco wasn't its size; the real problems were the issues within Tesco's business and its culture that have led to its recent difficulties. These were things beyond our control. We wish Tesco all the best under its new leadership team and with its new agency, but we have no regrets about the parting of ways. For ourselves, we believe it’s better to be better than it is to be bigger. 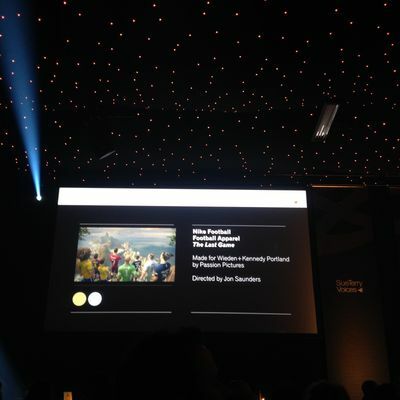 Campaign scored us 7 (‘good’ – the same score we awarded ourselves – though we wrote our self assessment prior to the loss of Tesco) and said, “Judged on its ads, Wieden & Kennedy London is a match for any UK agency. But the loss of the £110 million Tesco business to Bartle Bogle Hegarty in January 2015 has got people asking if it is set up to handle big accounts. It is true that the supermarket was mired in scandal and needed to show that it was making root-and-branch transformations but W&K never looked comfortable in the relationship and its campaigns lacked the quality and innovation that the agency brings to other clients. What’s more, this is familiar territory for W&K. In 2011, it lost the £80 million Nokia business (admittedly, another brand far from rude health) and had to cut a third of its staff. Elsewhere, W&K was responsible for some of 2014’s best ads. Three’s "#SingItKitty" was a viral smash on a par with "the pony" and Honda’s "the other side" was the envy of creative departments around the world. Few digital shops create ads as innovative as "the other side" and none can match W&K’s populist touch. Even more impressively, the interactive spot was made before Iain Tait arrived from Google to replace Kim Papworth (who will stay on as a senior creative) as one of the executive creative directors. Rivals should be nervous. Christie and co have worked hard (Christie hasn’t worked that hard, it’s mainly been ‘and co’ that have done the work) to make W&K the best US-agency outpost in London (Just to be 100% clear, the objective here has never been anything to do with being ‘best US agency outpost in London’; the goal is simply to be the best) and all the talk about Tesco should not detract from its achievements in building a consistently excellent creative team. How the agency rates itself: Not a bad year. We did some great work across a broad range of clients, getting many mentions in the selections of 2014’s best by Campaign, Fast Company, YouTube etc. We achieved some strong results. We picked up a bunch of awards. We had a successful year of new business. 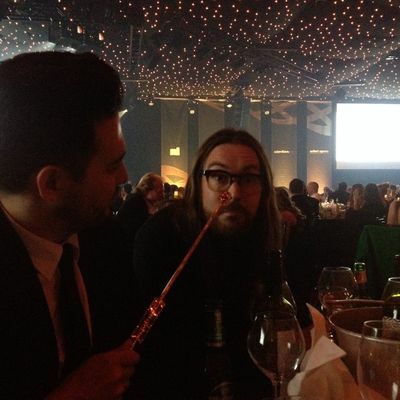 And we hired some great new people, including Iain Tait, who (re)joined as ECD from Google. All in all, I can't grumble too much about this report, even if I disagree with the suggestion that we struggle with big accounts. We have struggled with two big accounts: Tesco and Nokia. Both of these were companies in crisis. We appreciate that our good work over the year on other accounts, big and small, has been recognised. 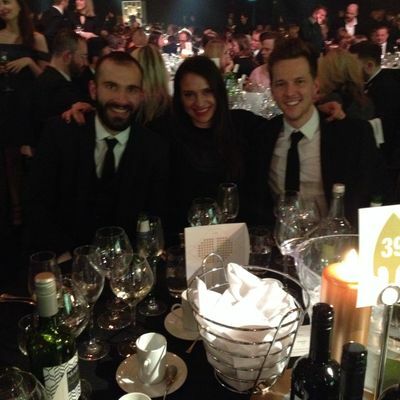 So, post Tesco, it's business as usual for W+K London: aiming to do the best work of our lives for great clients. Onwards and sideways, as Kim P always says. If you’re a creative advertising student or graduate, this is your chance to get your portfolio in front of creatives in the most social of settings – W+K creative Jason's house. Crib Crits is the third time he and his better half have opened their door to the next generation in partnership with the YCC. And they've all been super successful. So far, 10 creatives have gotten jobs after turning up to the previous events (and having awesome work, obviously). Yep, 10. The next one takes place on 9th April. 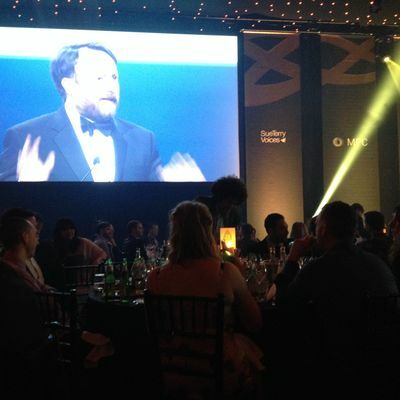 Agencies already confirmed to attend this one are Wieden+Kennedy, Mr President, Isobar, Grey, LBi, VCCP, BBH and more. 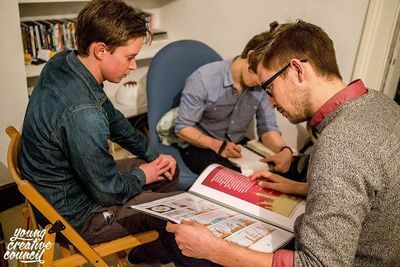 To be in with a chance of showing off your folio in a living room, bedroom or toilet, send a link to your work to cribcrits@youngcreativecouncil.com and Jason will get back to you to let you know if you’ve been successful as soon as is humanly possible. If you have any questions, tweet @jason_scott or @victoria_trow. Thanks and good luck. 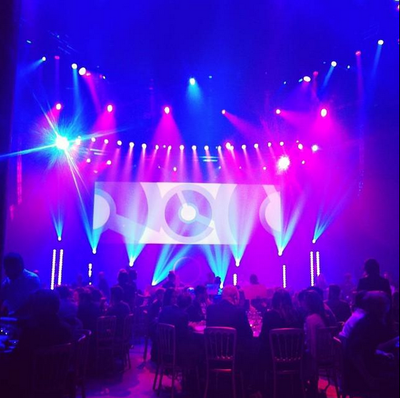 Last night's Creative Circle Ball had a nice metallic sheen to it, as two of our campaigns each took home a few awards each. 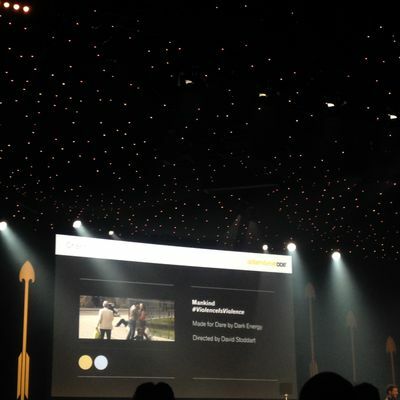 Honda The Other Side picked up three golds (for 'best use of new technology', 'best online film' and 'best interactive'), as well as the 'gold of golds' for top ad of 2014. 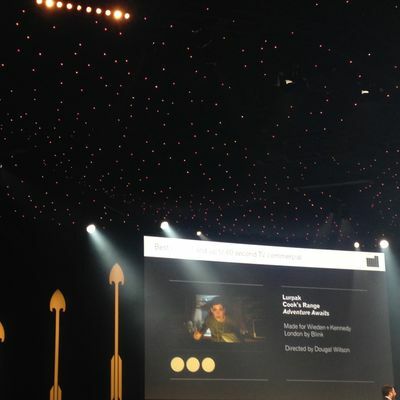 Lurpak Cook's Range won gold for 'direction' and 'editing' (big congratulations to Dougal Wilson at Blink and Joe Guest at Final Cut) and silver for best TV film. Not a bad haul, if we do say so ourselves. Photo courtesy of Creative Pool on Twitter.